Reiki Precepts help create the conditions for Reiki to flow into everyday life. They are a source for “inviting happiness” and they act as a medicine for all diseases. 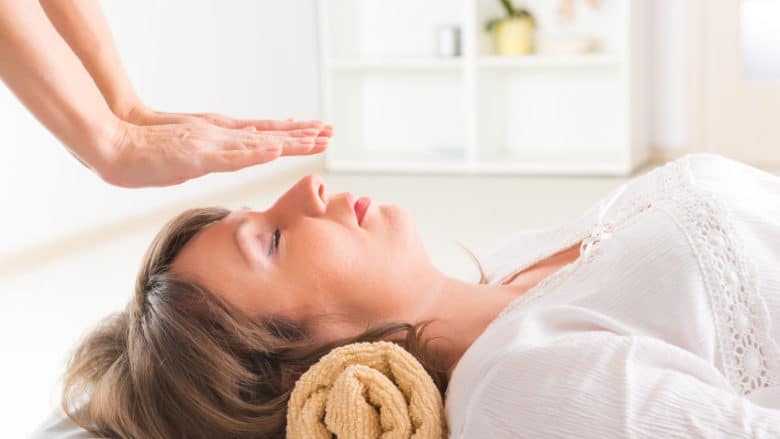 Reiki precepts were developed by Reiki’s founder, Mikao Usui, to help his students create the conditions for Reiki to flow into their everyday life. Today, we recognize his wisdom through the science of psychoneuroimmunology. Quite a mouth full, psychoneuroimmunology forms the basis of Mind Body Medicine. It is the science of how thoughts and emotions act to create health or disease. Just for today, do not worry.Just for today, do not anger.Honor your parents, teachers, and elders. Show gratitude for all living things. “Just for today.” These words bring my focus to the present. The present really is all that I have, it is where I live life: the past is but a memory and the future is yet to be. It also makes my intention more achievable and helps me avoid being overwhelmed with an expectation I’m unlikely to meet. “Do not worry.” Worry has never helped me accomplish anything. It has only generated negative thoughts and emotions that have brought me down and incapacitated positive action. “Do not anger.” Anger, as it is being used here is different from anger that is brief and generates the energy to take right action. Anger, especially when recurrent or sustained, muddies my mind and obscures right action. It raises the blood pressure and releases harmful chemicals in the body. “Be kind to all beings.” Kindness emerges from recognizing my connection to others. It springs from love and forms the core of spiritual practice. In Christianity Jesus said, “You shall love your neighbor as yourself.” (Matthew 22.37-40 ESV) Buddha taught “loving kindness” as the source of happiness and living a good life. Besides, when I am kind to others they are more likely to be kind to me. Plus, kindness opens the heart and stimulates the release of “feel good” chemicals in the body. “Be filled with gratitude.” Looking for the positive things in life and expressing gratitude for them fills my body with positive emotions and biochemicals. Being filled with gratitude brings me serenity, contentment, and happiness. “Be devoted to my work.” My work helps me accomplish my life’s purpose and find meaning in life. When I do my work with devotion I nurture my soul, my spirit. Although their wording has changed slightly over time, they remain a source for “inviting happiness” and they act as a medicine for all diseases. Miles, Pamela, Reiki: A Comprehensive Guide (New York: Tarcher/Penguin, 2006).